Fall is in the air in Northern Virginia! The foliage is just starting to get really good and I want to be outside all the time. Last weekend, we ventured down the road to an awesome local produce and garden center. What we thought was going to be an afternoon of picking out pumpkins and some produce turned out to be a pumpkin overload at one of the most charming local produce and garden centers I have ever visited! Here are the highlights. This is a pretty cozy and classic fall look for me because it involves all the layers! When I shared this sweater in my random Q&A post, I said I’ve been wearing it on repeat, and now you know I wasn’t lying. It is seriously soft. Hopefully this cozy look gives you another idea for how to style sweater vests this fall. I also love layering a silk cami under my sweaters in cooler months. This more affordable ruffled hem cami will look super cute under a more fitted sweater. You can pick a neutral one for a touch of femininity or pick a different color for a fun pop of color or contrast. Nalls Produce in Alexandria, VA began in the 1960s, with produce sold off a roadside wagon. Today, it has an old-school charm with amazing quality produce. Their produce and goodies like apple butter, flavored popcorn, jam come from local farmers or from the Nalls grounds. You can subscribe for milk from local farmers, Thanksgiving produce baskets, Thanksgiving turkeys and other seasonal services. There are tons of seasonal flowers and trees as well. My thumb is not truly green, but I was impressed with the variety of plants, and the sizes and colors. The pumpkin selection did not disappoint either. There were fairytale pumpkins, casperita pumpkins, pie pumpkins, Lil’ Pumpkemon pumpkins, Pink Porcelain Doll pumpkins, Jack-Be-Little pumpkins, Big Mac pumpkins – and the list goes on! Almost as entertaining as the pumpkins were the chickens. Did you spy them in the pics!? There were pigs as well. Nalls also has a “pumpkin hill” which is like a giant manmade hill. For kids, it would be considered a fort, complete with tunnels and spooky underpasses. We came home with lots of pumpkins, apples, some mums and Nalls’ apple butter – soo delicious! If you are in Northern Virginia or ever visit, I highly recommend visiting this local, family run spot. I know I’ll be back soon. Have you visited any fun local spots this fall? When it comes to picking out pumpkins, where do you go? I would love to hear what the fall season looks like for you and what your Halloween plans are. Disclaimer: This post is not sponsored. All the opinions and thoughts I share are my own. I only share content that I have a personal connection with. Your clicks, comments and engagement are very much appreciated, and may allow me to receive a small compensation. 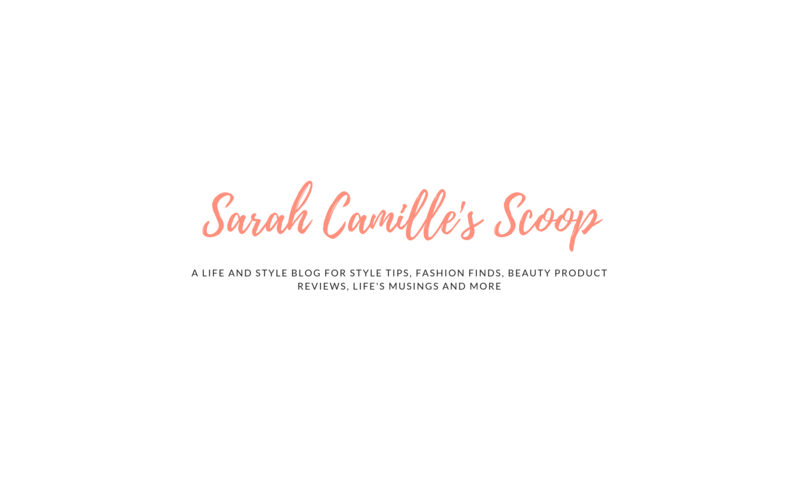 Your support of Sarah Camille’s Scoop and the things I share help me keep doing what I love — thank you!